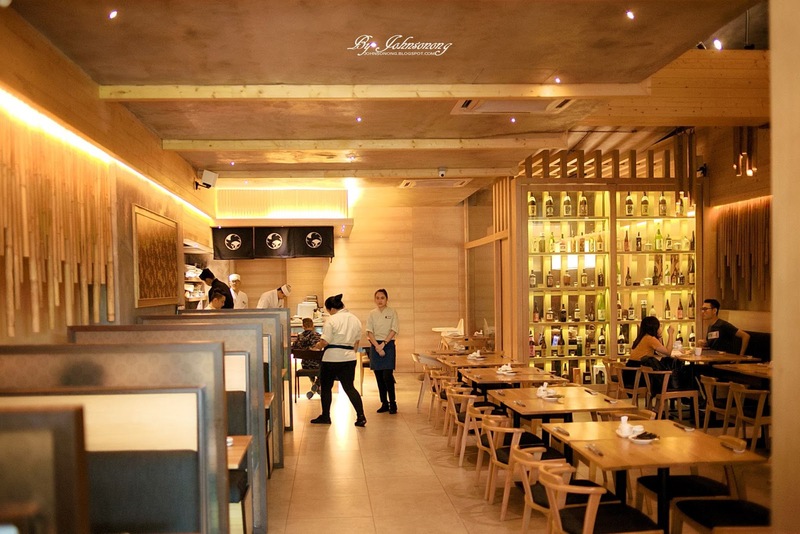 Ted on the ground floor of Avantas Residences Old Klang Road KL, Kimi-Ya is a Japanese restaurant that brings an authentic Japanese menu with reasonable price. I have heard a lot of good things about Kimi-Ya. Being a great fans of Japanese food, we were excited to visit it for the first time not long ago. 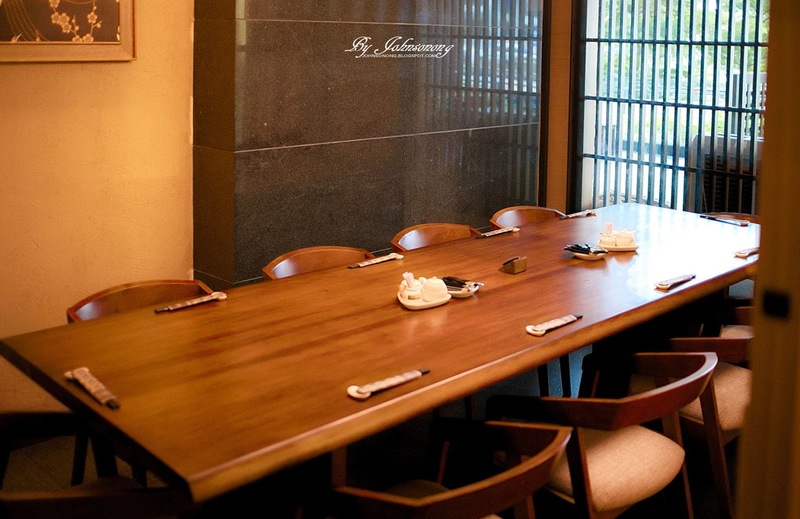 Kimi-Ya has a cozy environment including two private rooms which are perfect for authentic Japanese dining. 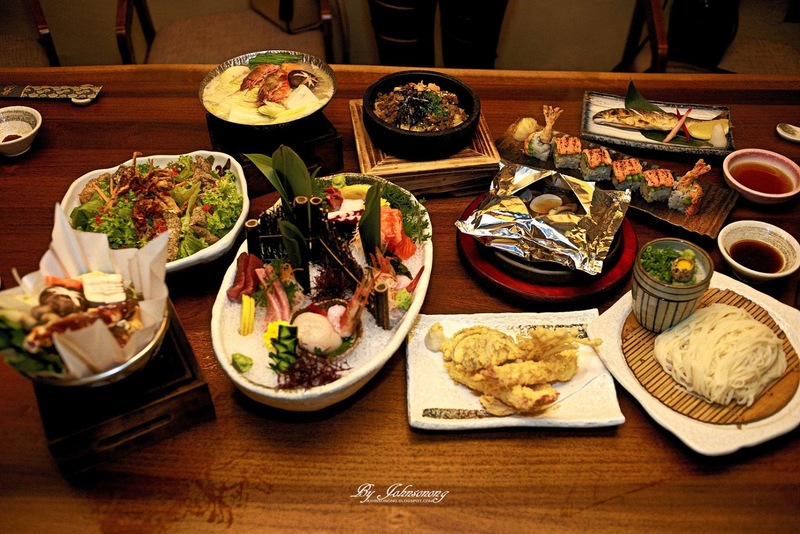 Kimi-Ya has plenty of choices on their vast menu, from starter to main, desserts and beverages. Diners would be spoilt for the choices. We had picked a few signature dishes below on our visit. 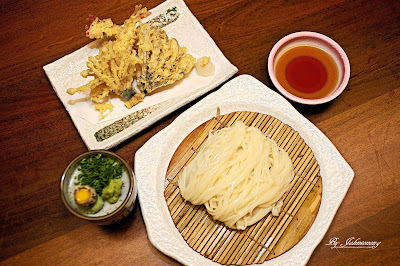 - Cold Thin Wheat Noodles with Assorted Tempura and Dipping Sauce. An interesting Cold Thin Wheat Noodles with 3 different kinds of taste. 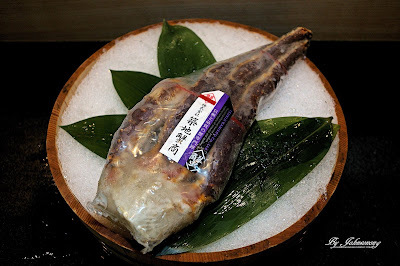 Diners can either dip the cold noodles directly into the homemade dipping sauce for an unadulterated flavour, or pick up some wasabi, dip in the dipping sauce, and slurp the noodles up, or rather mix the sauce with the quail egg and spring onions for a sweeter, creamier touch. We like the uniqueness of the serving plus the smooth and refreshing taste of this noodle. Pair with our favourite fried assorted tempura, we would love to have this again and again. 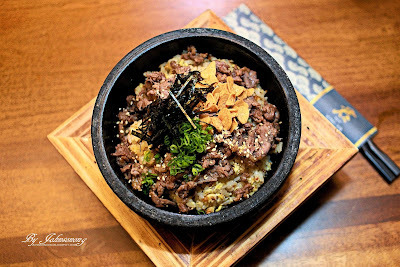 - Garlic Fried Rice Topped with Stir-Fried Sliced Marinated Beef with White Sesame, Fried Garlic and Spring Onion. I am never a fan of garlic fried rice but I do love the yu Garlic Rice Ishiyaki served at Kimi-Ya. It doesn't have a very strong garlic taste, but rather smell great thanks to the hot stone bowl. 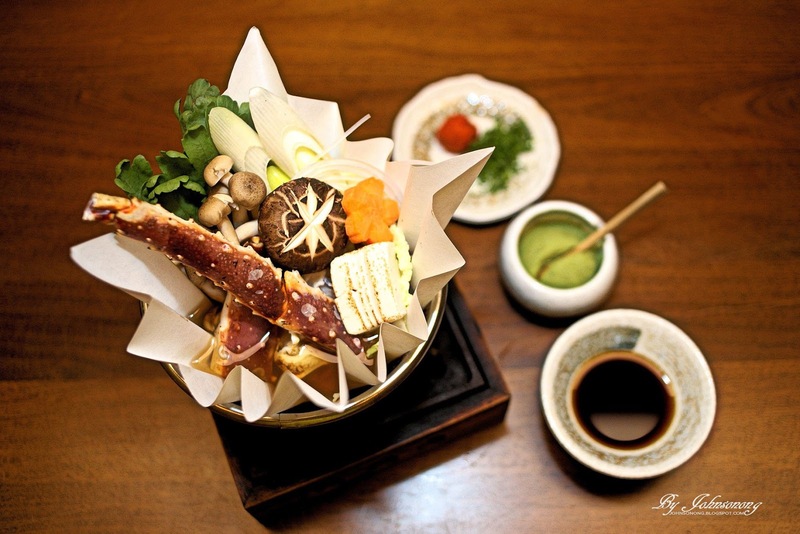 Served with stir-fried sliced marinated beef, this is a dish that we recommended for people who are into beef. - Cold Thin Wheat Noodles Served with Dipping Sauce. Similar with Tenzaru Inaniwa Udon, Zaru Inaniwa Udon comes with the noodles without the tempura. - Clams and Shimeji Mushrooms in Dashi Soup with Unsalted Butter. We like the simple but great taste of the Dashi Soup that comes with the fresh clams and shimeiji mushrooms. 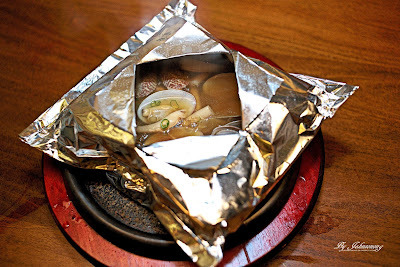 A delicious hot food that everyone would love. - Hot Soup Wheat Noodles with Chicken (Homemade Udon). Kimi-Ya serves delicious home made udon which taste different from many Japanese restaurants outside. The udon is bouncy and not too chewy, which is really nice to eat. - Shrimp and Vegetables Hot Pot with Spicy Chicken White Soup. 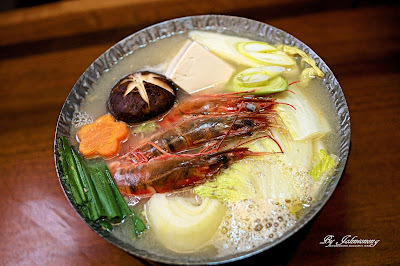 A traditional Japanese hot pot that comes with a lot of shrimps and vegetables. Must have for shrimp lovers. - Special Roll with Deep-Fried Shrimp, Cucumber, Avocado with Marinated Roe. 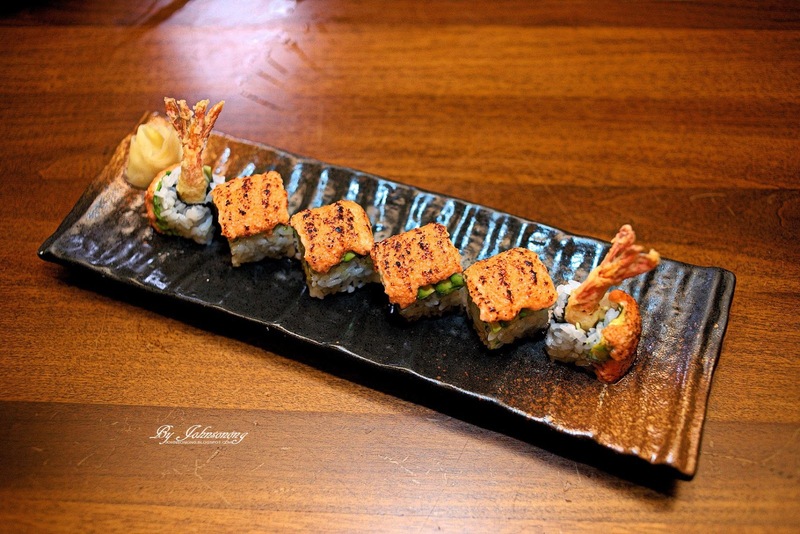 We love the Avocado Ebi Mentai Roll because each mouthful is a burst of roe. With deep-fried shrimp, creamy avocado and crunchy cucumber, this is one of the best maki we have had so far. 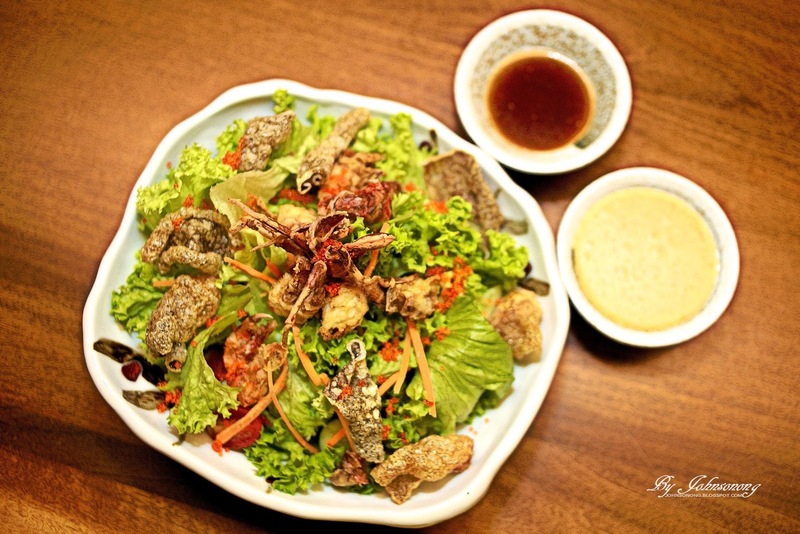 - Deep-Fried Soft Shell Crab and Fish Skin with Assorted Vegetables. Soft Shell Crab lovers would definitely love this salad as it is loaded with deep fried soft shell crab, fish skin, a pile of assorted vegetables, and also flying fish roe on top of the salad. Served with special soy based sauce and sesame sauce, each bites is juicy and crunchy. 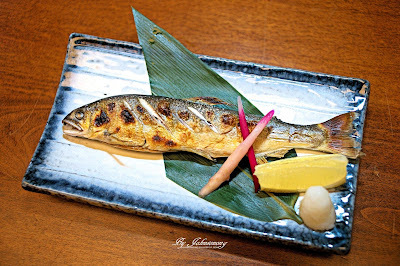 - Grilled Japanese Sweet Fish with Salt. We are always a fan of grilled Japanese Sweet Fish with Salt for it's juicy inside and crunchy outside taste. Best to eat with a bowl of Japanese rice. 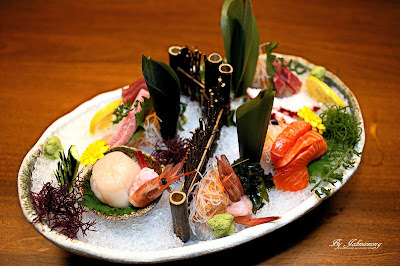 - Salmon, White Tuna, Amberjack, Tuna Belly, Scallop, Octopus and Pink Shrimp. We love the Sashimi Moriawase, each piece comes in thich cut and is so fresh. Serving on the crushed ice, each sashimi will melt in your mouth before you know it. 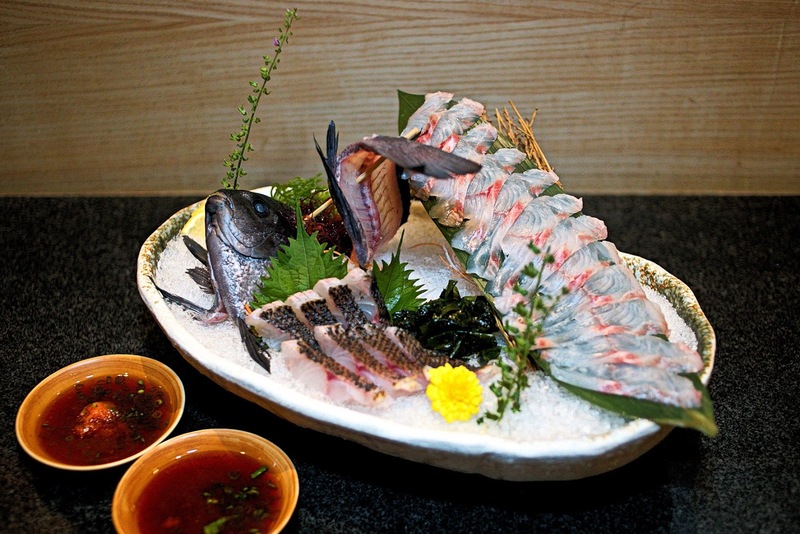 If you are looking for a high quality sashimi, this is the place to be at. Kimi-Ya airflown fish from Japan twice a week to ensure the freshness of the fishes that they served here. Diners could inquire in house for the special fish dish of the day. Taraba Kaminabe – Available on the entire month of August 2018, Taraba Kaminabe is only priced at RM58. Go try it out now because it is First come first served basis. Birthday Dessert Platter - Good news to the Birthday boys and girls, you can enjoy this Complimentary Dessert Platter promotion when you spend a minimum of RM100 in a single receipt on your birthday eve and exact date of birthday. You just have to present valid IC to enjoy this Complimentary Dessert Platter promotion. The portion of Dessert Platter will be depending on the number of pax. Below 4 pax will get 1 scoop of ice cream, below 8 pax will get 2 scoop of ice cream, below 12 pax will get 3 scoop of ice cream. Each dessert platter will serve 3 kind of fruits, the portion is depending on the number of pax. Note, Kimi-Ya reserves the right to change promotion terms & conditions without prior notice. Kimi-Ya has not disappoint us and we would surely go back for more, be it a casual dining with friends and family or a celebration, Kimi-ya is a great place for all Japanese food lovers. Address: G-2, Avantas Residences, 162 Jalan Klang Lama, Kuala Lumpur.